The accuracy with which clinicians can locate nerves and blood vessels has increased greatly with the development of portable handheld ultrasound scanners, and no specialty has felt the benefit more than anesthesia. This practical atlas of ultrasound anatomy addresses the two main challenges for anyone learning ultrasound-guided techniques: 1. Where do I place the probe? 2. What exactly am I looking at? Each nerve block or vascular access site is illustrated with: * An anatomical line illustration * A clinical photograph showing the correct ultrasound probe position * The ultrasound scan * A line illustration of the scan labelled to indicate the salient anatomical features All relevant anatomic regions are included: upper limb, lower limb, neck, thorax and abdomen. 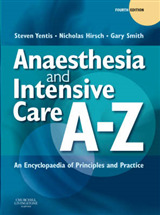 Concise notes for each entry indicate scan landmarks and give useful tips and advice on potential complications. 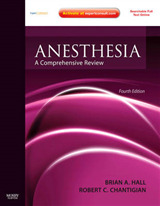 Sonoanatomy for Anesthetists is an essential resource for anesthetists, intensivists and chronic pain specialists.